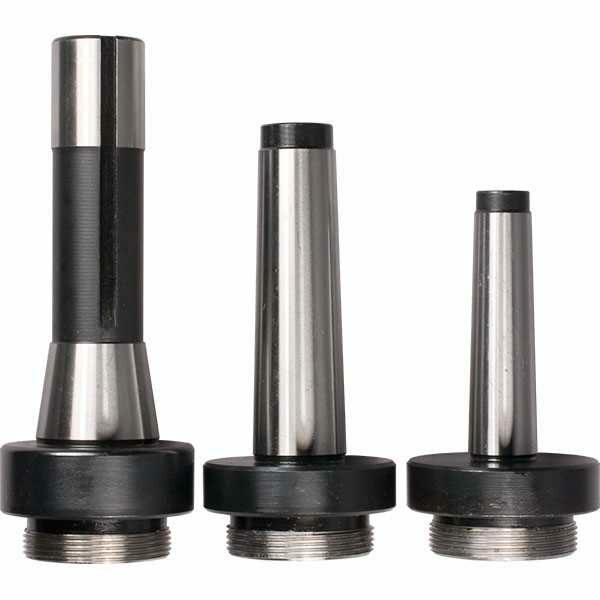 Our 50mm and 2" boring head sets come with a set of 9 carbide tipped boring cutters and are packed in a plastic storage case. 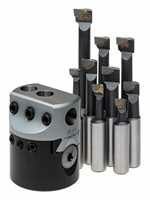 Sets are supplied without an arbor so you can choose the right arbor for your machine. 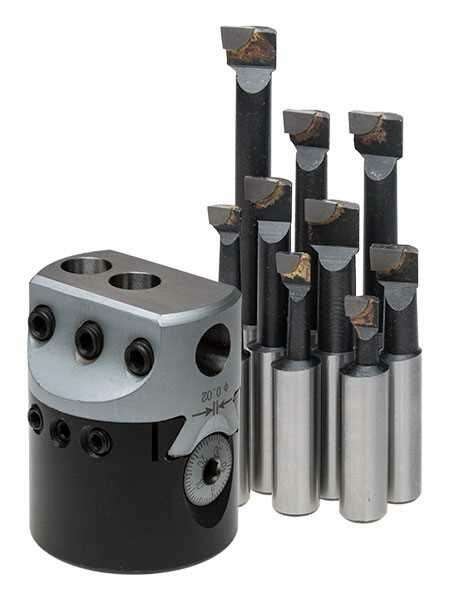 Spare boring cutter sets are also available. Rugged design for chatter free boring. Recessed back with 1.5in x 18tpi thread. 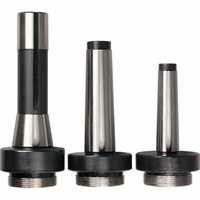 Fits our standard 50mm boring head arbors listed below (MT2, MT3 or R8). 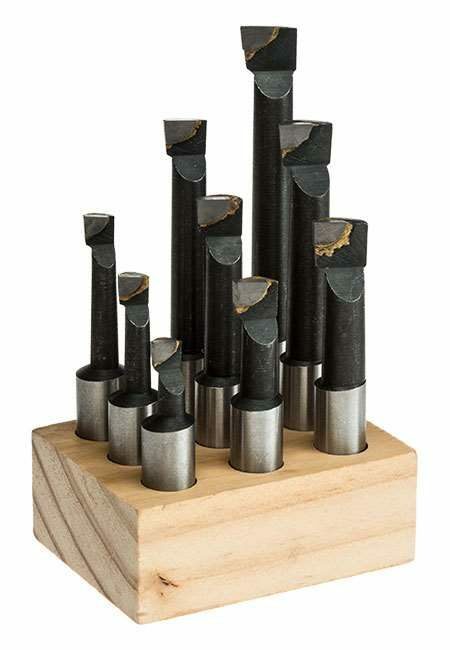 Complete with a set of 9 carbide tipped boring tools. 060-290-00500 Imperial 2" 1/2" 5/8" 3/8" - 5" .001"